This project involved redeploying an extensive static HTML site as a WordPress site with a brand new look and feel. 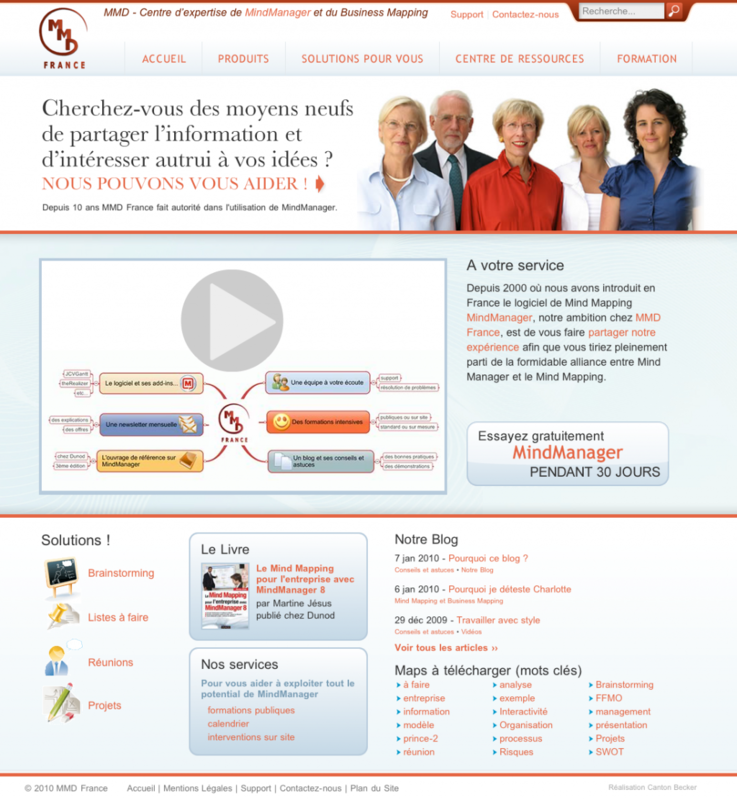 MMD France is made up of a team of experts in MindManager, software used for “Mind Mapping” ideas. Making the human connection: Demonstrating that MMD is operated by real and approachable people with unequaled experience in their field. Simplifying content management: Using WordPress, MMD can easily update nearly 100% of their website content using a web browser. Adding new training videos or products takes minutes.